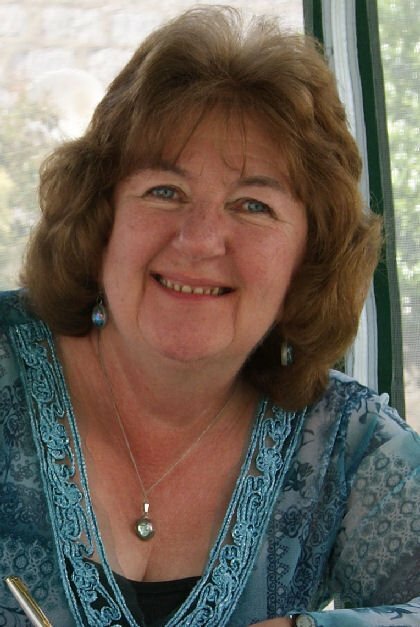 This week I’m honoured to be interviewing massively successful multi-genre writer Nancy Jardine. Q1. Nancy, welcome and thank you so much for agreeing to be interviewed. 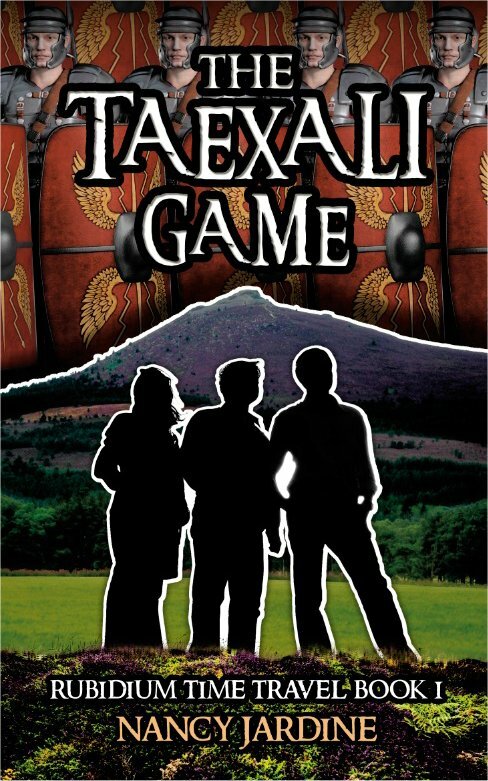 Congrats on the upcoming publication of your latest book, The Taexali Game which will be out soon. Could you please tell us a little more about the kind of books you write? I write in a variety of fiction sub-genres which include historical romantic adventure; contemporary romantic mysteries; time travel historical adventures for Middle Grade/YA; and I’ve also written a couple of historical non-fiction books. I devoured everything I could get my hands on. My grandfather helped me read the comic strips on the children’s page of his Sunday newspaper before I went to school. My father was a great reader and he was delighted to take me to the Public Library when he went to borrow books every week. I had to wait till I was 7 years old to get my own junior ticket, but I’d been using my older sister’s ticket for a while before then. She wasn’t so interested in reading except for her weekly comics. Between us, we got 8 comics a week, and I read them all. I got the girlie ones like the Bunty, Judy, Diana and June & Schoolfriend and she got the Beano, Dandy, Beezer and Topper. I acquired books from my much older cousins like Biggles; Boys Own annuals and my very first Enid Blyton book came secondhand from a cousin. Between the ages of around 6 and 10, I read almost every book Enid Blyton wrote (a slight exaggeration since she wrote some 150 books). Waiting for a ‘reserved’ book to be lent to me was sometimes agonising, if it was a popular one. By the age of 12, I was reading a lot of the classics. Reading was a passion but the time for it was squeezed into a very busy evening and weekend schedule since I was a Brownie, then a Girl Guide; I was in a choir and played a lot of sports as well. Q3. I remember quite a few of those books and comics myself, and I was a huge fan of Enid Blyton and also Malcolm Savile. Now, I know you’re a very busy woman, what are you working on at the moment? I’ve too many WIPS on the go and soon need to make a major decision about which to focus on. I’ve started Book 4 of my Celtic Fervour Series of historical romantic adventures set in Celtic/Roman Britain in late first century AD. Every now and then, I’ve been adding a little to a family saga set in Scotland which starts in 1850. I’ve also partially plotted out Book 2 of my Rubidium Time Travel Series for Middle Grade/YA readers —this historical time travel is set in Victorian Glasgow, Scotland. By the end of April I’ll have self-published The Taexali Game, Book 1 of my Rubidium Time Travel Series for a younger audience, though anyone who loves a good adventure will love it, too! Crooked Cat Publishing will also be publishing Take Me Now, a contemporary romantic mystery, probably before the summer, though I’ve no date yet for that. Q5. What are your favourite authors? I have so many authors whom I admire immensely and truly don’t have any favourites. I read across many genres so I’ve authors I like for many different reasons. Dickens and Tolkein are so different from Jane Austen but I like them equally as well as Phillip Pullman, or Rick Riordan, or Lewis Carroll. I’m mostly drawn to historical fiction but even there I find that a new author might seem like my new best favourite but they are likely to be supplanted by another when I read the work of a new author. My daytime is swallowed up with grandchild-minding duties, gardening and household chores—with a 1 year old and 3 year old they are constant! That means I only write or read on days when the kids are with their other ‘granny’, or their mum when she’s not at work. I tend to write and read from around 9pm to midnight—though that’s also when I try to catch up with the news of the day. Before the grandkids appeared, I was managing to do a lot of ancestry research, which I find fascinating, but that’s not been easy to keep up with recently. I get easily sidetracked when doing research but love finding some really useful information. Facebook can be a lovely diversion: it’s lovely to keep up with readers and friends on FB. I’m a natural ‘pantser’ who has gradually learned the value of pre-planning in my novel writing – so I’m now a bit of ‘pantser’ with a good dollop of ‘plotter’. I’ve now 7 published novels, some of which have been planned more than others. Books 2 & 3 of my Celtic Fervour Series of historical adventures took a lot of plotting out, after intensive research. The timelines for the historical events that I used in those stories took a bit of tweaking since historical records (written by Greek or Roman historians) don’t necessarily match up time-wise with more recent archaeological interpretations. I had to do a bit of re-jigging before I sent Books 2 & 3 to my publisher. Book 1 of the series was much more ‘pantser’ driven. Topaz Eyes, a contemporary mystery thriller, took a lot of plotting and planning. The family tree I created for my cast of characters needed a lot of checking to get the dates and relationships correct, but it was such great fun to do. In Topaz Eyes,my research was mainly about Mughal emerald jewellery collections—something I knew little about. Lots of charting of who found what and where happened before and during the writing process, to ensure the ‘treasure hunt’ aspects of the story all fell into place properly. I loved Topaz Eyes – it was so fast-paced and I loved the European setting, not to mention the passion! Nancy, thank you so much for coming along and talking to me today. Can’t wait to read your new book. 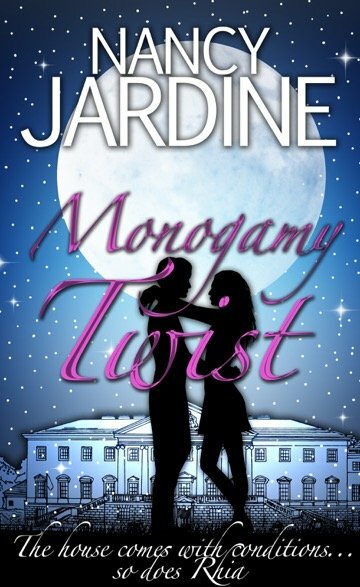 Nancy Jardine lives in Aberdeenshire, Scotland. She currently shares a home with her husband, daughter, son-in-law, 3 year old granddaughter and 1 year old grandson. It’ll continue to be a busy household till late summer of 2015 when the new build home will be completed for the young ‘uns on what was Nancy’s former back garden. The loss of that part of the garden won’t be missed since there should now be more writing time available this spring and summer! Childminding is intermittent over the day and any writing time is precious.